Creating a platform for Green Label Sound, Mountain Dew’s outpost in the world of youth culture. How do you create a new digital destination for expression and engagement? Unique Voice: Original writing helped to capture the voice of the brand. Handcrafted Brand Book: Our team carefully hand colored and hand bound each book, reinforcing the DIY and individualistic nature of the brand. For years, Green Label had served as a vehicle for emerging artists—a legacy built in the worlds of hip-hop, indie, EDM and street art. But the vision for Green Label was always something bigger: a lifestyle brand that could connect with youth culture on a larger scale. We were brought in to help make that vision a reality. We envisioned the Green-Label.com platform as a new generation’s definitive source for lifestyle content. The site covers a spectrum of interests—music, sports, art, style and travel. In addition to acting as creative and strategic consultants on Green-Label.com, we meticulously handcrafted a batch of limited edition “brand books” to introduce Green Label to a select cadre of culture-makers. With Green-Label.com, Mountain Dew continues its never-ending search for what’s next. What started as an underground music label has become a way for the brand to continually reinforce its cultural relevance. 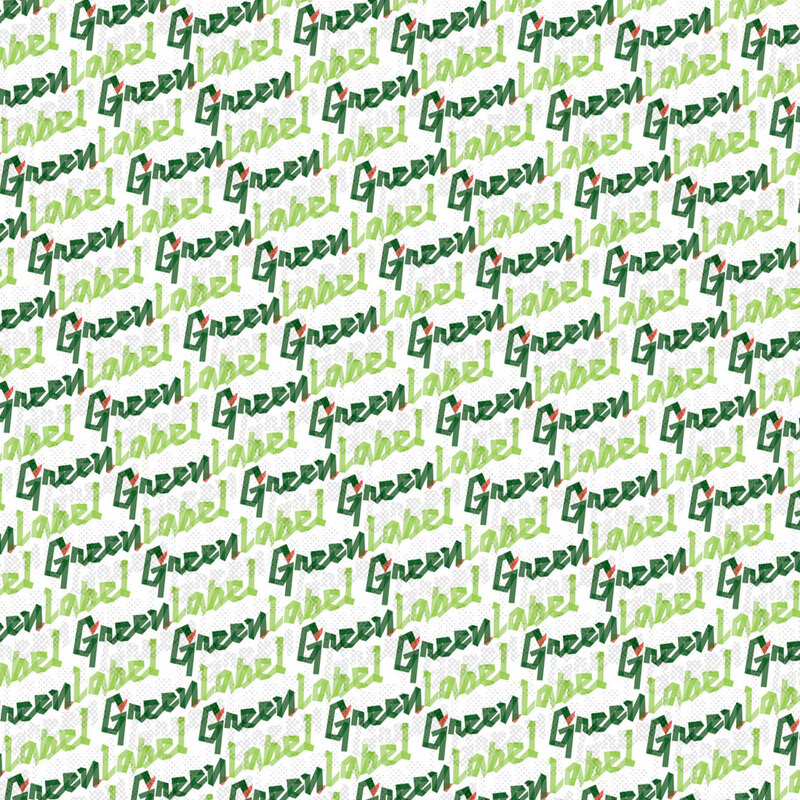 We envisioned the Green-Label.com platform as a new generation’s definitive source for lifestyle content. 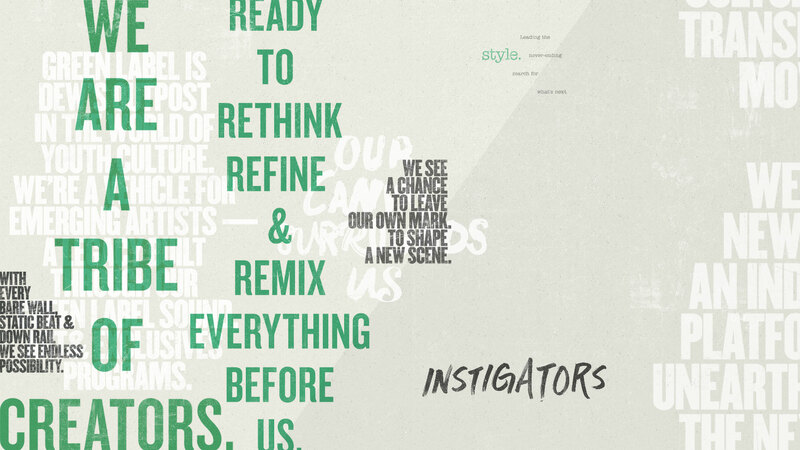 The site covers a spectrum of interests—music, sports, art, style and travel. 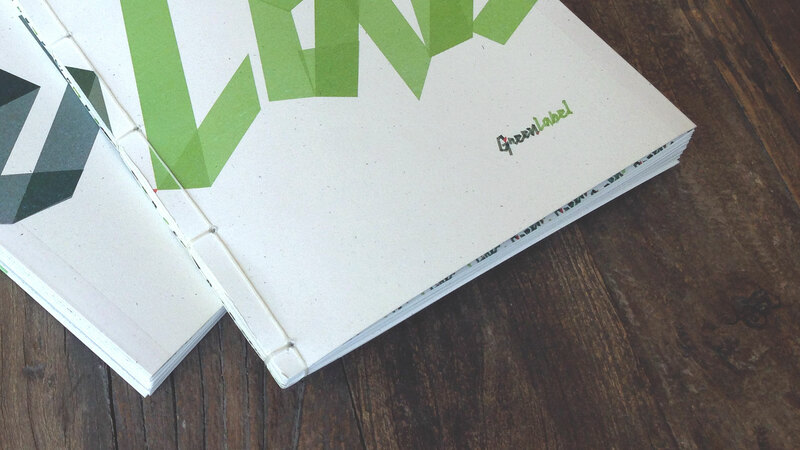 In addition to acting as creative and strategic consultants on Green-Label.com, we meticulously handcrafted a batch of limited edition “brand books” to introduce Green Label to a select cadre of culture-makers.